WASHINGTON — The Coast Guard is scheduled to launch its new, online digital newsroom, http://www.news.uscg.mil, Thursday afternoon. Users can click here to subscribe to the news delivery service. This new capability will allow users to manage their Coast Guard news preferences through the service’s subscription preferences page. For more information, please contact 202-372-4630. 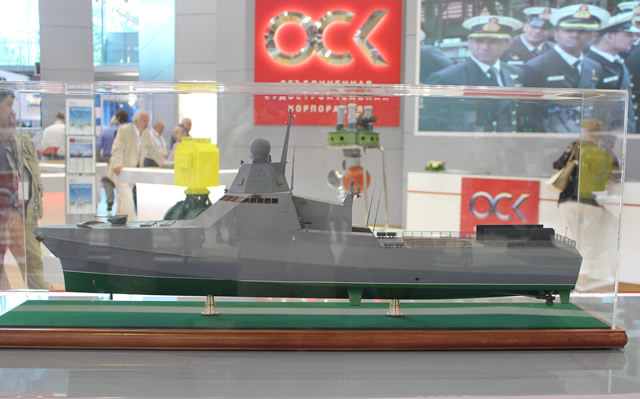 Recently, NavyRecognition reported Russia was laying down a third Project 22160 patrol ship. The first of this class should enter service next year. In size they fall between the Offshore Patrol Cutter and the Webber class WPCs, in the range I have called “Cutter X.” The size (1200-1800 tons full load) seems to be favored by many navies and coast guards.These ships are a bit unusual among small Russian ships in having a substantial range. At one point there was a public statement that these had been designed to counter piracy off the Horne of Africa. But it has been more recently reported that they will be quipped with Kalibr (Tomahawkski) land attack missiles, the type recently used by ships in the Caspian Sea to attack targets in Syria. The ship is “modular” and has a reconfigurable space under the rear of the flight deck. The missile will be mounted in containers under the flight deck. Adding anti-submarine or additional anti-ship capabilities would require trading off the Kalibr missiles. The ship has a new naval gun mount incorporating a 57mm gun. The gun is reportedly capable of 300 rounds per minute and a range of 12 km. Effective range is about 4 km. This is a development of gun with a long history in Soviet and Russian Service in both anti-air and anti-armor roles, and as is frequently the case with Russian weapons, the ammunition is shared in common with the Russian Army. In addition they will carry short range Anti-Air missiles. It appears they will be vertical launched from canisters between the gun and superstructure. While these ships do not have a strong self defense capability, the mounting of cruise missiles similar to the Tomahawk on small vessels, particularly on one like this, that has a relatively long range, gives them a sort of miniature maritime strike capability, far less capable, but also far cheaper than a Carrier Strike Group. While the ships are small and the weapons unobtrusive, the potential to accurately strike up to eight separate targets would have required an attack by dozens of aircraft not too many years ago. Apparently all six ships are to be assigned to the Black Sea Fleet and will be home ported in Novorossiysk. Interestingly, it appears the Russians may also be building a similar size anti-submarine warfare ship. Again NavyRecognition has the report. It is perhaps interesting to contrast this boat with the Coast Guard’s Response Boat Medium (CRB-M). The CIV is optimized for speed, while the RB-M, although still relatively fast, is optimized for staying power. The CIV is apparently powered by four outboard motors while the RB-M is powered by two inboard diesels. This gives the CIV its greater 54 knot speed compared to RB-M’s 42 knots. The engine choice suggest that the RB-M has greater range. The RB-M provides greater protection from the elements for the crew and equipment. This again suggests that the CIVs are not expected to stay underway as long, and perhaps additionally, that they are only expected to operate in relatively mild climates like Southern California and Florida. The closed cockpits of the RB-Ms would also make communications, necessary for coordinated operations, easier, because of the lower noise level. It appears that while the CIV cost slightly less than $1M each the RB-Ms cost slightly less than $2.5M each. 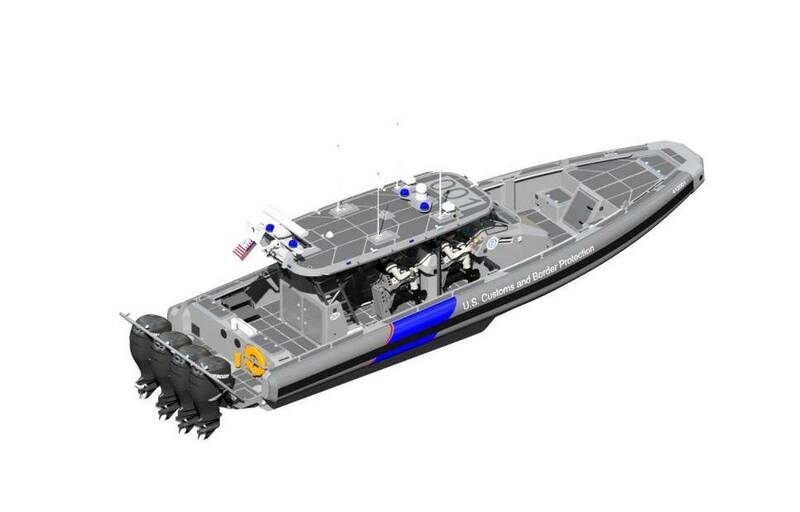 In addition to the CIV, SAFE Boats is also making the “Over the Horizon” cutter boat for the Coast Guard and the Mk VI patrol boat for the Navy. If there was any doubt that the Chinese intend to build a Blue Water fleet this 12,000 ton destroyer should dispel any doubts. It is larger the any of the Burke class DDGs, still not as large as the Zumwalts, but probably better armed. The President spoke at the graduation ceremony for the Coast Guard Academy class of 2015. You can read the text of the speech here. Is Pakistan Forming an American (or Chinese) Style Coast Guard? Defense News reports that Pakistan is planning a new force to protect its ports and Exclusive Economic Zone. There are few details except that it should have 12,000 members. There is speculation that it will incorporate the existing Maritime Safety Agency which is a maritime agency under control of the Navy and their existing Coast Guard which is a shore-side agency under control of the Army.